Like the most natural thing in the world. Thank you to all the women who carry the health of an entire family on your back, sometimes with no acknowledgment for the way you have sacrificed your status, your body, the dreams of a younger self. Thank you, also, to those women who flaunt their intelligence and expertise in the workplace, who are not afraid to be called “bossy,” because they know they are simply leaders. These paths are seen as oppositions to one another, but they are not. They are both brave. Neither is understood fully by society. We choose one, the other, or some combination of both. There is rarely a situation wherein everyone understands our choices. We make them anyway. Thank you for those who do things differently, to the warriors who never felt supported. Thank you to those who appear so very delicate on the outside, but who love more strongly than anyone else in the world. Thank you to the mothers and the daughters and the friends who know exactly what words are needed to heal a broken heart. Thank you, friends, for the way you have taught and inspired all of us. And you know what else usually has a cover with people *almost* kissing and follows some pretty consistent formulas? Sappy Christmas Movies. In particular, I’m talking about the uber romantic ones you might find on the Hallmark Channel or, over the last couple of years, on Netflix. These are the movies that swallow up your suspensions of disbelief and recompense them with warm fuzzies. They’re getting married even though they met last week? Sure. He was able to dodge airport security because he loves her? Of course! The millennial barista makes enough money to afford THAT apartment? Why not? Whether you love them or make fun of them (or both), the Sappy Christmas Movie is a staple of December. It’s safe enough to have on with the kids in the room, mindless enough to not get confused by the plot if you are watching it while doing some holiday baking or wrapping, and -well-sappy enough to give a cozy feeling that we all especially enjoy this time of year. Usually there are a few standard character types to choose from for the male/female characters. Also, the story line will STRONGLY remind you of two or three well-known movies without being an exact copy of any of them. Obviously, despite some standard obstacles, the two main characters fall in love. This MUST happen at Christmas, preferably in a small town. If you don’t like small towns, New York City is also acceptable. Or the North Pole. Or a tiny European country that kind of rhymes with “Genovia.” You get the gist. In honor of this much-beloved seasonal staple, I wanted to create a challenge/game for those of us who love (and love to make fun of) the Sappy Christmas Movie. I’m going to give you some categories and suggestions/ideas to get you started, and there are a few funny (okay, not standard) options in there, just to keep in interesting. After you come up with something for each category (use my ideas or not), go ahead and write a short (paragraph-ish) summary of your Sappy Christmas Movie! I’d love to read yours…so post it in a comment! The sillier, the better. One person has to move far away because of an opportunity that has been a lifelong dream. Hello fellow readers, and happy October! Something about Autumn, I think, is especially appealing to literary folk. C’mon: some adventurous novels, blue skies, chilly air? Dark, rainy nights, pumpkin spice candles, and a glass of Merlot served alongside mysterious and chilling tales? Recently, I comprised a list of autumn reads for teens for Hip Homeschool moms. When I shared the list with a friend, she asked me what my autumn book list would be for adults. While all of the classics from my teen list would remain, there are also some fall-ish novels that I love but wouldn’t feel comfortable openly recommending for YA readers. Then, of course, there are the books that I have yet to read, but which are on my personal to-read list for this autumn! So, without further do, here’s my list of 20 Atmospheric Autumn Reads for Adults. 1.Jane Eyre by Charlotte Bronte- a unique heroine, a mansion with a dark secret, the test of love between two passionate souls, and a touch of magical realism that seems unique to the setting of North England. Jane Eyre is of my favorites anytime, but especially in fall and winter. 2. Wuthering Heights by Emily Bronte– Those Bronte sisters really knew how to weave together the feelings of a conflicted heart alongside the mystery of the English moors. Oh, Heathcliff—in high school I loved you, and as an adult I love to hate you. I still read about you and Cathy every year, though; your tortured and unhealthy relationship is undeniably haunting. 3. Rebecca by Daphne Du Maurier– Again with that Cornish setting. But can anyone argue that the misty moors and the roar of the cold English ocean is just plain exciting and mysterious and lends itself so completely to thrilling and slightly spooky stories like Du Maurier’s Rebecca? Okay, no arguments? Good. 5. The Great Gatsby by F. Scott Fitzgerald- Hey, it’s an actual American novel (Arguably one of THE American novels.) Gatsby is another favorite novel of mine anytime of the year, and it’s arguably a perfect summer OR autumn read. The thrilling roar of summertime and its dreams takes up most of the book’s premise, but the momentum leads to the fateful first fall of the leaves…the end of summer and its illusions (and delusions). 6. Shiver (and Wolves of Mercy Falls Series) by Maggie Stiefvater –Not just another paranormal werewolf romance story. This New York Times Bestselling Author totally gets the raw emotions of first love. It’s a sweet and beautifully melancholy story. 7. The Mortal Instruments Series by Cassandra Clare- You know that metallic, green book you’ve seen at Target with the washboard bare torso of a young guy on the cover? Yes, I’m actually putting that book (and the rest of the series) on my list as guilty pleasure-reads for autumn. I’m not sure who was in charge of marketing/cover layouts, but The Mortal Instruments is only slightly about dudes with abs. It’s a fun supernatural series with lots of action and witty banter: a fun series for some bathtub reading on a chilly day. 8. Wintersong by S. Jae. Jones- Labyrinth meets Phantom of the Opera! I actually reviewed this one here. It’s a dark fairy-tale that fantasy lovers will gobble up. 9. The Diviners by Libba Bray- I’m actually reading this one right now: 1920s Manhattan, mysterious murders, a plucky flapper heroine, supernatural bumps in the night. Libba Bray is a great writer, and this book is actually pretty darn creepy for a YA novel. 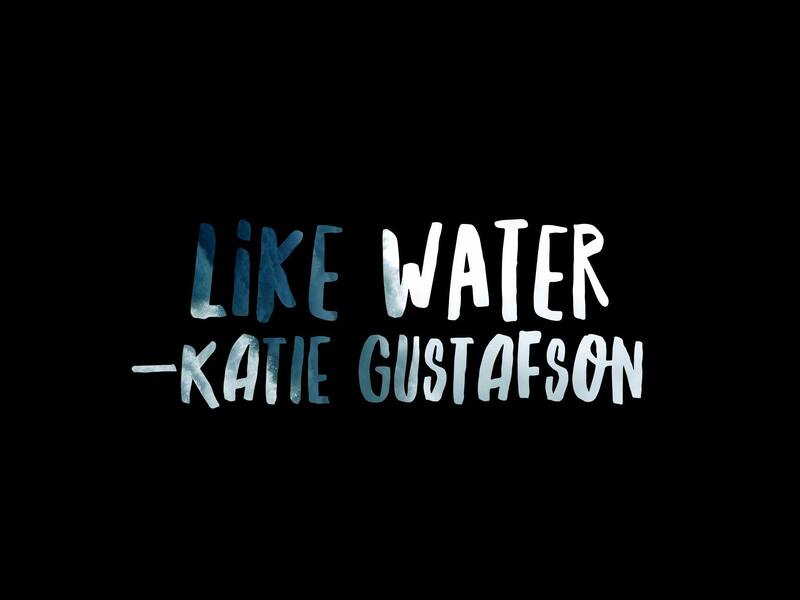 The characters are very teenager-ly…but the story is pretty adult (kind of like her Gemma Doyle series). 10. Warm Bodies by Issac Marion- Just your typical little post-apocalyptic love story/comedy/commentary on human nature (narrated by a Zombie.) Whatever. 11. The Beekeeper’s Apprentice by Laurie R King – While not technically written for a Young Adult audience, this story is definitely appealing/appropriate for teens or adults. It’s a super cozy and engaging introduction to King’s Beekeeper series, which follows a retired Sherlock Holmes and the bright, young woman who becomes his assistant. 12. THE HARRY POTTER SERIES by J. K. Rowling- If you haven’t read Harry Potter then you should. It’s okay to re-read it whenever you want, especially in fall. That’s all I have to say about that. 12. Practical Magic by Alice Hoffman- A lyrically written account of two magical sisters facing down a family curse and a dead guy in the backyard. Different from the movie (though I like both). 13. Outlander by Diana Gabaldon- Sweeping and kind of steamy historical/romance/adventure/quasi-fantasy that you’ve all probably heard of (because, you know, Starz). Because there’s some rough stuff in it, I don’t recommend Outlander to everyone, even though I personally have enjoyed what I’ve read of the series. The first books starts out with Clare stepping through standing stones in the Highlands during the feast of Samhain (Gaelic Halloween), which is one of the things that makes the first novel of this series a great October read. 14. Smoke and Mirrors by Neil Gaiman– A profound, weird, creepy, adult collection of fantastical short stories. A dash of spooky and a dollop of thoughtfulness. 15. Dead Before Dawn (A Sookie Stackhouse novel) Charlaine Harris- A Cajun-infused chick-lit romance/ blood-and-gore/ mystery/ vampire novel. A little bit of a guilty pleasure but super fun (and amazingly successful given the amount of genre crossover). 16. Interview with the Vampire by Ann Rice- Arguably the most iconic vampire novel since Dracula. It’s fascinating and dark and compelling. 17. Dracula by Bram Stoker- (I realize that it’s crazy that I’ve never read this). 18. Rules of Magic by Alice Hoffman-this prequel to Alice Hoffman’s Practical Magic just came out! Pre-ordered on Kindle and can’t wait to read it! 19. Jonathan Strange and Mr. Norrell by Susanna Clarke– I started this beautifully cozy, slightly creepy, historical fantasy last fall and somehow fell out of reading it. 20. Something by Stephen King—What’s a great first read by Stephen King??? (Guys, don’t kill me for having never read Stephen King). There are so many books springing to mind now that I’m calling this list “done.” However, 20 seems like a good place for me to stop…for now. How about you? What are some books that scream autumnal, Halloweenish mystery to you? The following AMWAP book review: 192 words. Disclaimer: It is hard to give a book review in only 192 words. Big Fish is a humorously-told series of short, fantastical “myths” about Edward Bloom’s adventures in Alabama as a younger man. Contrasting with this are the more mundane, realistic narrations given by Edward’s son, William. While the stories of Edward’s life read like something from The Odyssey, it becomes clear that his son’s personal quest is to discover the true nature of his father before Edward dies. Adults who want to understand their parents beyond the title of “mom and dad,” will likely find hidden gems in this book. I think it also has merit for those who are trying to process the illness or death of a parent. As a twenty-something reader (and only child) who lost my mom to cancer, Big Fish hit home in a way that was a bit melancholy. However, the book is also funny and abstract enough to be more thoughtful than depressing. Ultimately, Big Fish whimsically conveys some universal themes for anyone: a father’s desire to be remembered as a great man, a son’s desire to be closer to his fading father, and the looming question of what it means to truly be known and loved. *AMWAP stands for “as many words as pages.” I made this up as a challenge for myself. I’m not OCD…just quirky. And if you enjoy any type of fantasy, you likely know who Neil Gaiman is, too. However, many of us don’t know much more about Norse mythology than what we’ve learned from Marvel. Gaiman, the king of modern mythology, seeks to fix that by paying tribute to his roots with Norse Mythology . This work consists of sixteen myths, arranged in a narrative arc that traces the Norse gods from origin to end. It’s a quick read. I appreciated that each story was short and engaging while also fitting into a larger, more complete story. We also come to know the characters more deeply with each chronicle. My only dissonance with the work comes from own expectations. Excepting the origin story of the gods (which was plenty weird, but dryly told), the rest of the content didn’t seem as creative as some of Gaiman’s other works. The reason behind this is, of course, not an issue: these stories aren’t Gaiman’s to tell. But they are Gaiman’s stories to retell to us, the modern reader. The voice of the work is humorous and knowledgeable, as if Neil has gathered us around the campfire to tell us about these ancient, mighty, childish heroes of the North. I laughed at the antics of Thor, at the constant conclusion that “it is always Loki’s fault,” and at challenges and tricks that shocked and delighted me. I also learned about the Norse concept of Hell (or Hel), the origin of the phrase “mind’s eye,” and countless other gems. Ultimately, I come away from this work feeling pleasantly interested in, and more connected to, Norse mythology as a whole. Jae-Jones’ debut novel is a dark, romantic fairy-tale for young adults that combines traditional folklore with modern themes of self-discovery. Nineteen-year-old Liesel seems plain and responsible, but she has a wild streak, and a fierce talent, buried beneath her familial duties. As a child, she danced to the music in her head and played games with a mysterious boy whom she pretended was the Goblin King. As years pass, she grows into a stifled composer living under the shadow of her beautiful sister and gifted brother. When her sister is taken to the Underworld by the (very real) Goblin king, Liesel must accept the reality of her childhood imaginings. Armed with tenacity, Liesel travels to the Underground, where she discovers that the Goblin King and his domain are more complicated, and more connected to her own passion, than she ever would have guessed. It’s a tale as old as Hades and Persephone. And it’s undeniable that S. Jae-Jones took blatant inspiration from Phantom of the Opera and Labyrinth, too. Honestly, there are a few times when it’s a little too much. For instance, Wintersong’s Goblin King bears an uncanny resemblance Bowie’s Goblin King (down to the two differently-colored eyes). Still, Jae-Jones expands this character in ways that makes him angsty and interesting in his own right. In fact, character development is something that this author does really well. The main character, Liesel, toes the line between complacent young woman and fiercely-passionate feminist in a way that will resonate with almost any female reader. Her relationship with music, too, is evocative and unique. Ultimately, this protagonist’s complexities, and her unexpected decisions throughout the book, give this story a fresh spin. The author’s writing is lyrical and descriptive with some unnecessary repetitions. I enjoyed her style, though it is not for readers who prefer more action-driven writing. My main criticism of this novel is that the pacing seemed slightly off. With minor tweaking and editing, this book had enough plot to be two separate novels. As it is, the story comes across as a little unbalanced. This novel is labeled as YA, but I actually think there is more there for the emerging New Adult audience (twenty-thirty somethings). Adult lovers of music, fairy-tales and dark romances will gobble up this escapist novel with hidden depth. 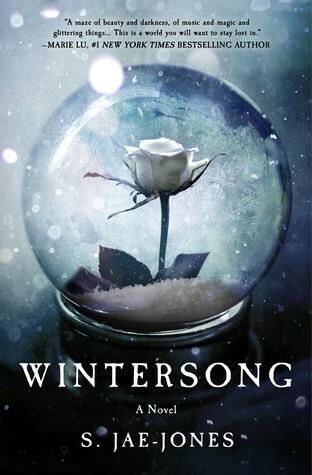 Wintersong renewed my inner-teenager’s passion for Labyrinth and Phantom of the Opera, while giving me some brand new characters to love.